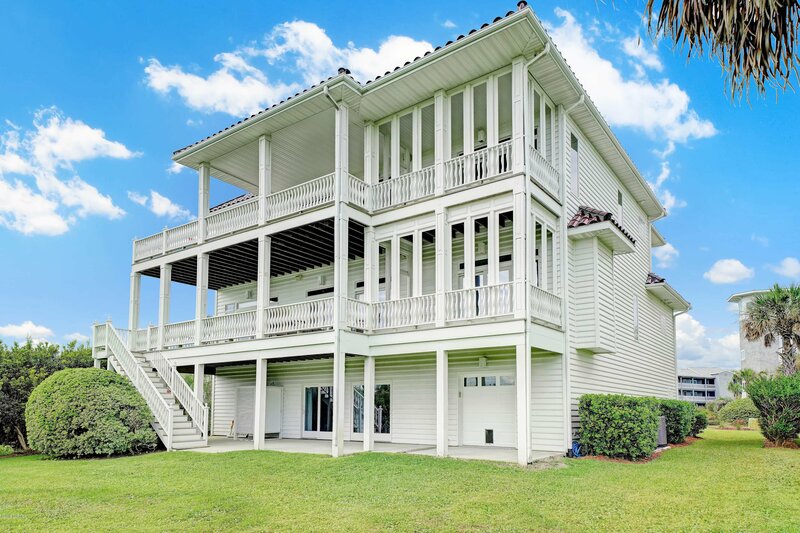 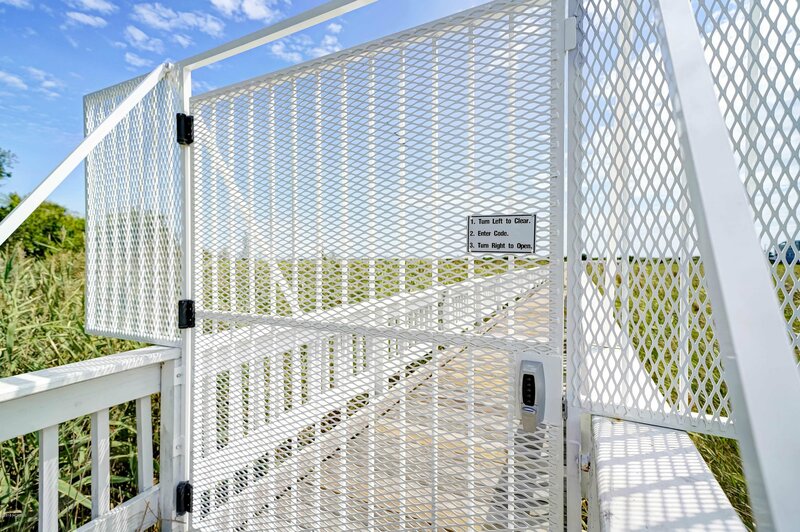 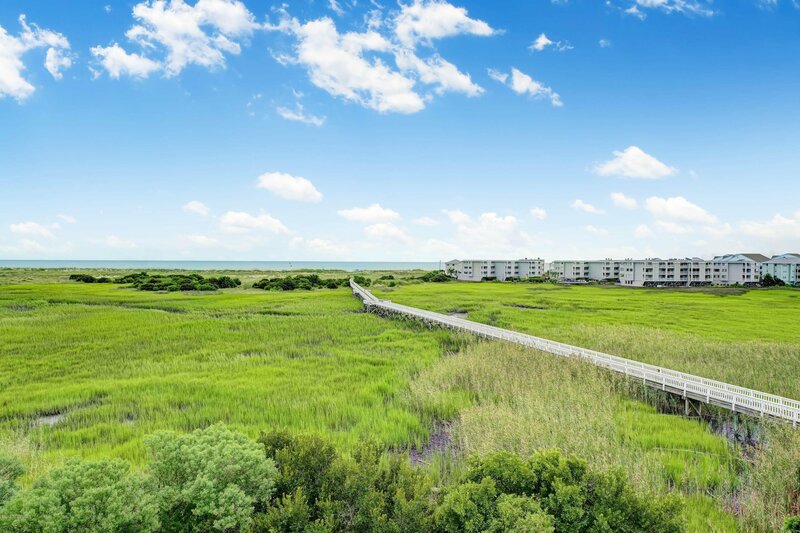 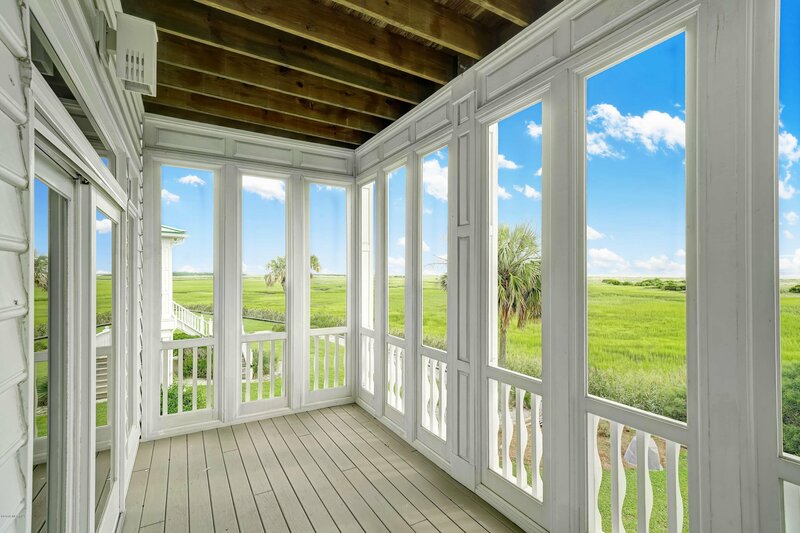 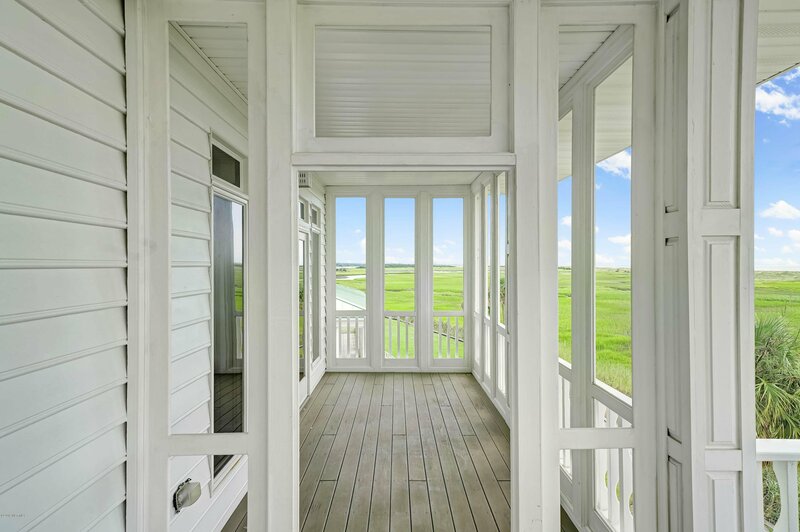 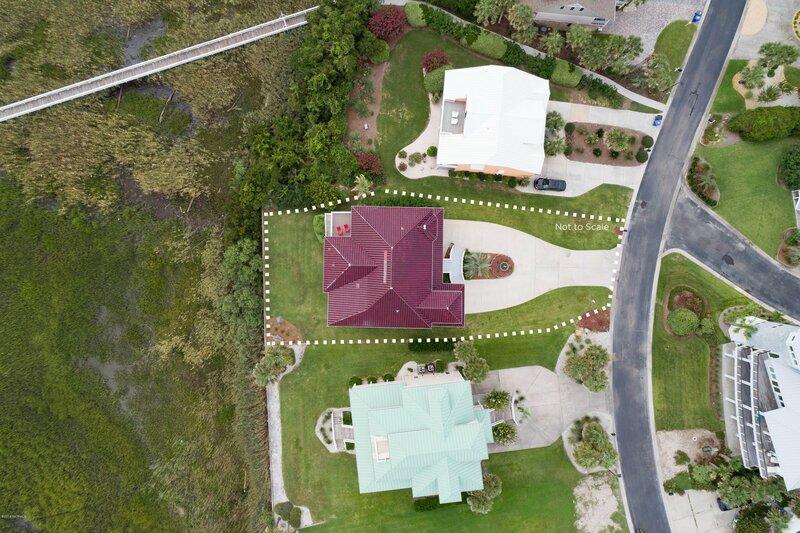 Behind guarded gates, this coastal masterpiece presents a 180 degree panoramic ocean, intracoastal waterway, untouched marsh, and sunset views from its magnificent beachfront setting. 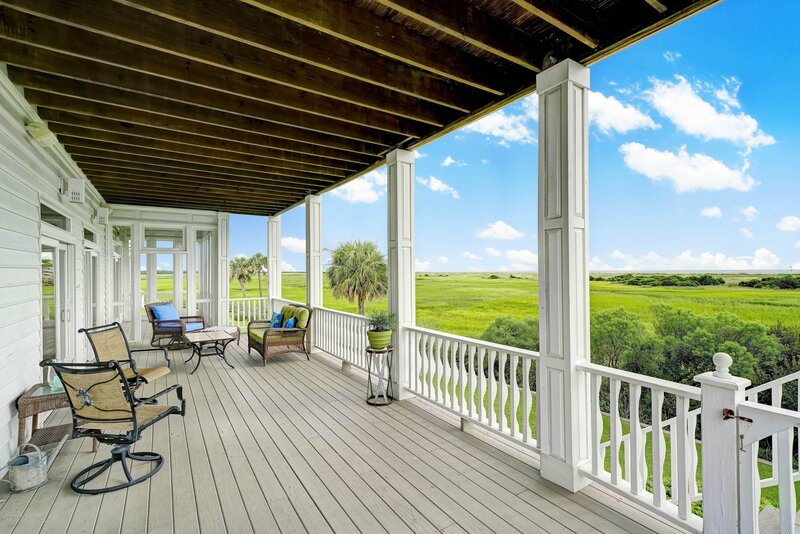 Truly a 3 Million Dollar view only for 1. 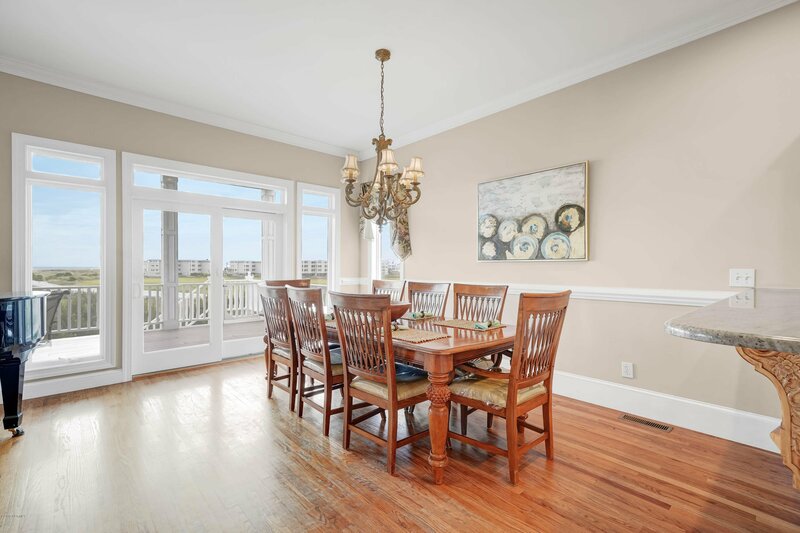 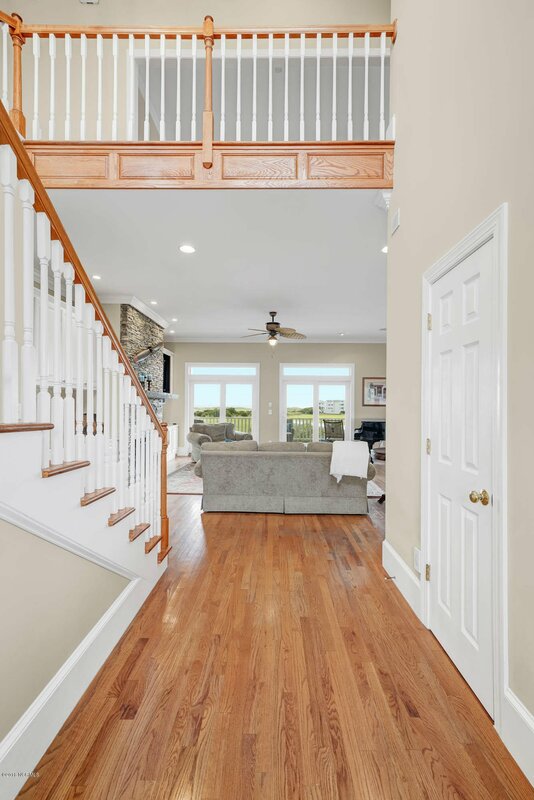 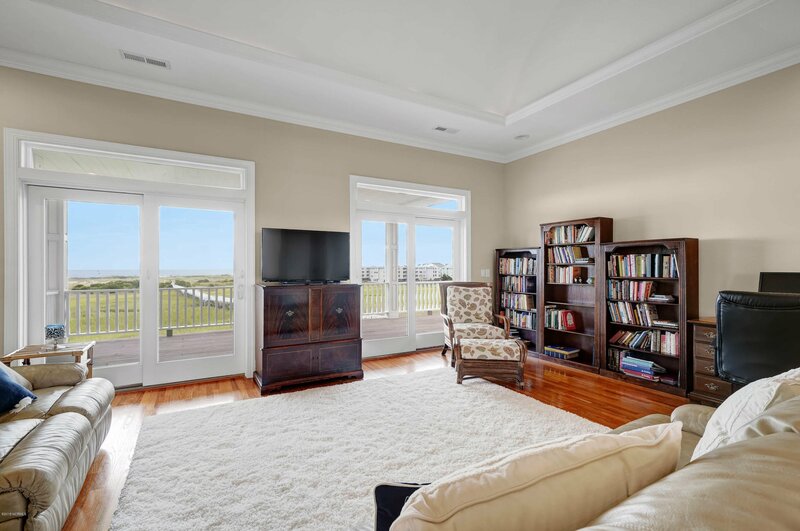 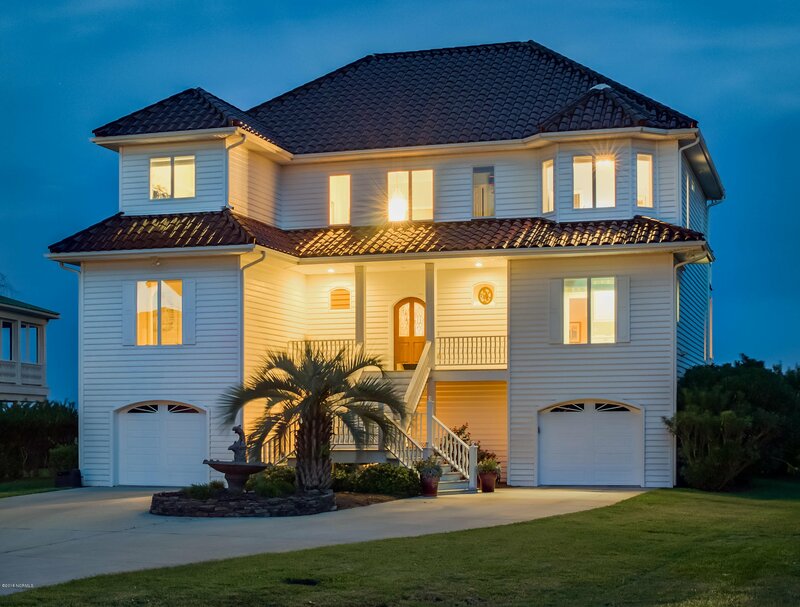 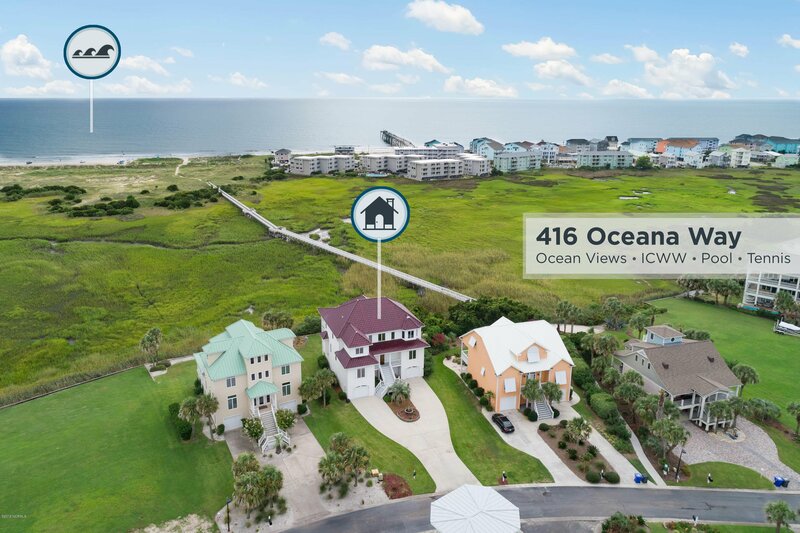 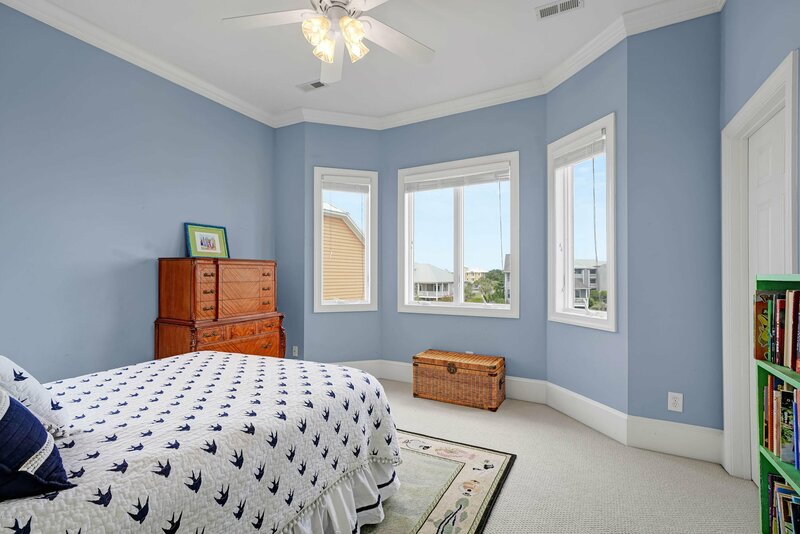 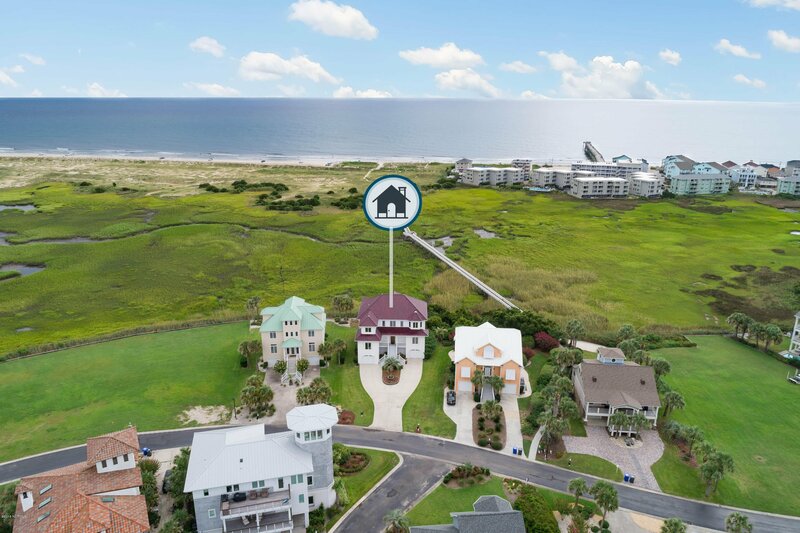 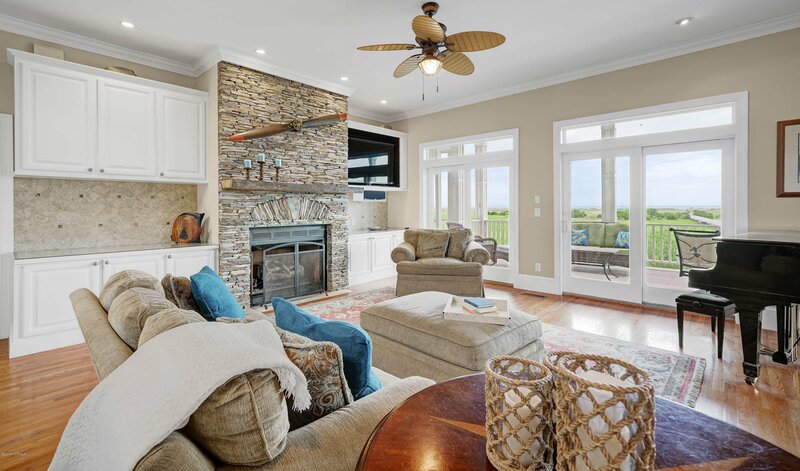 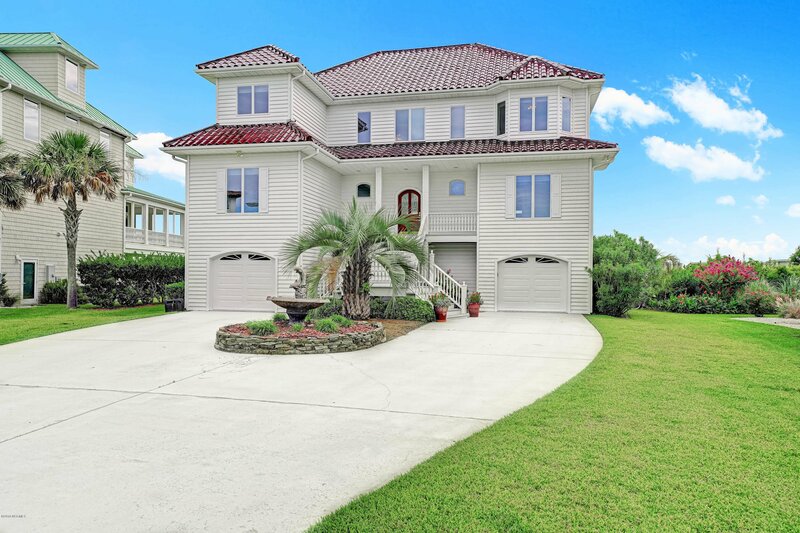 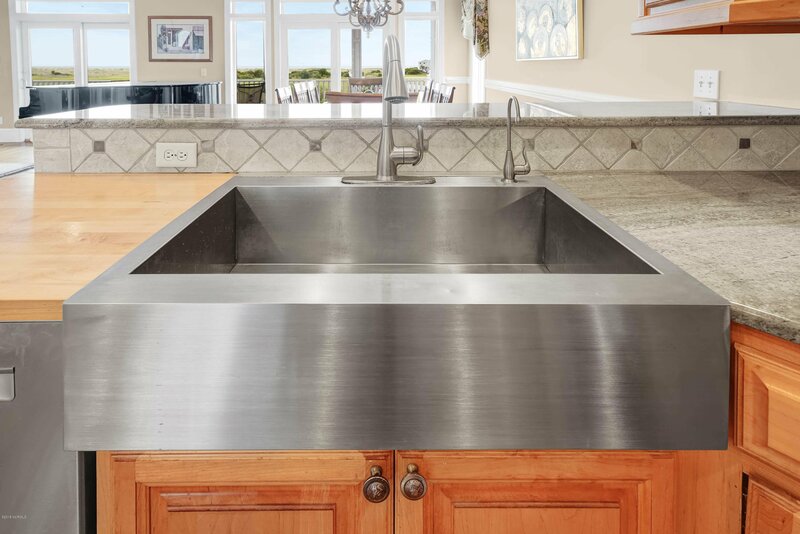 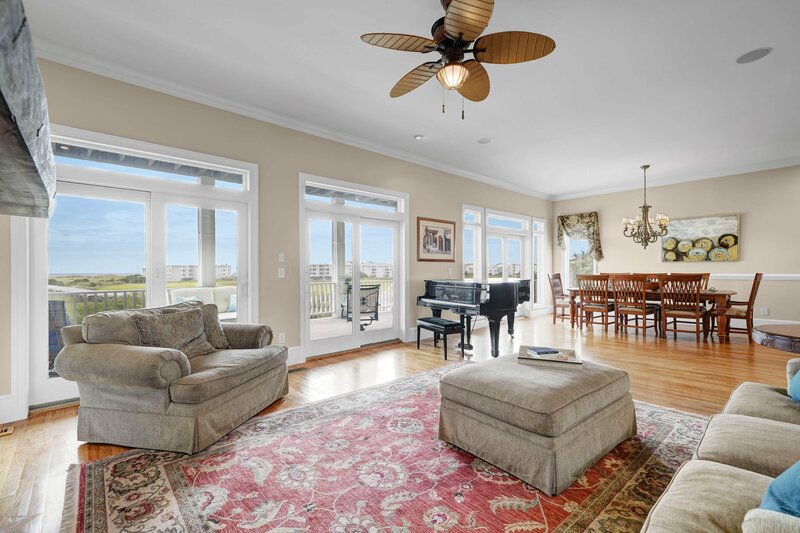 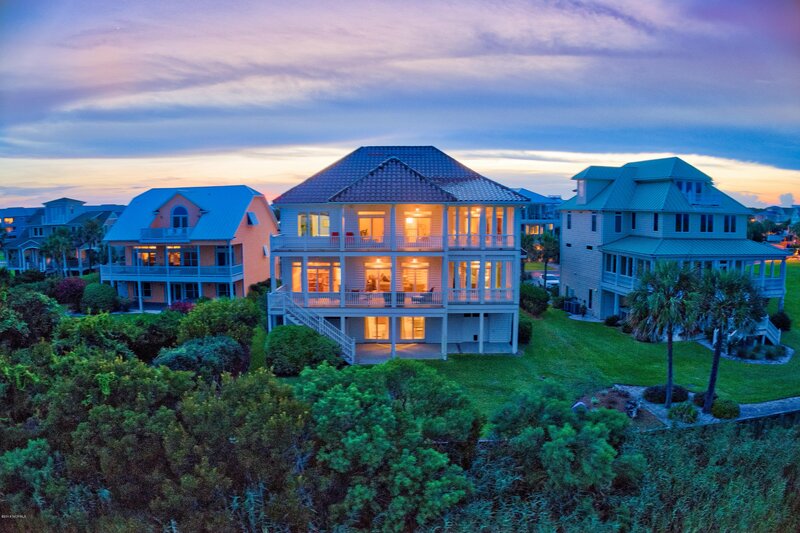 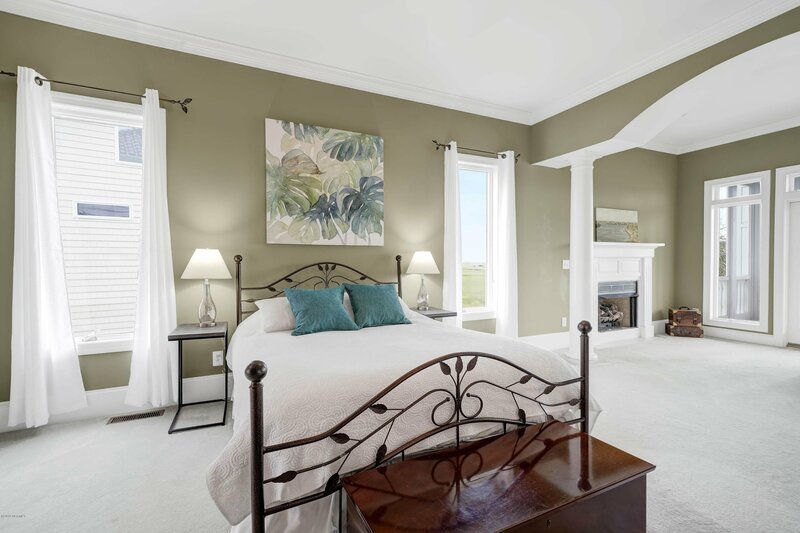 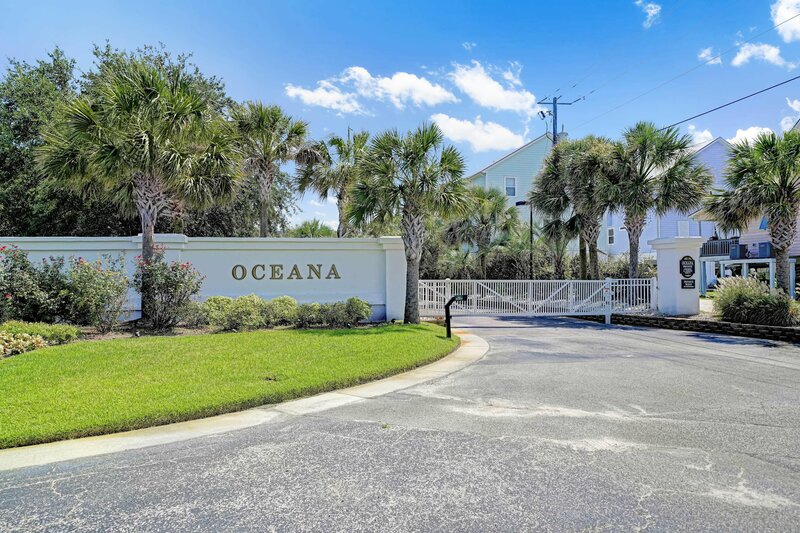 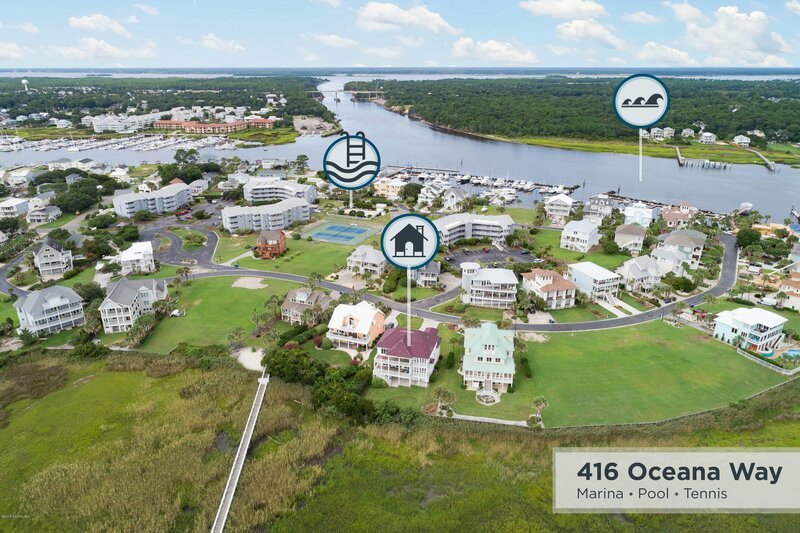 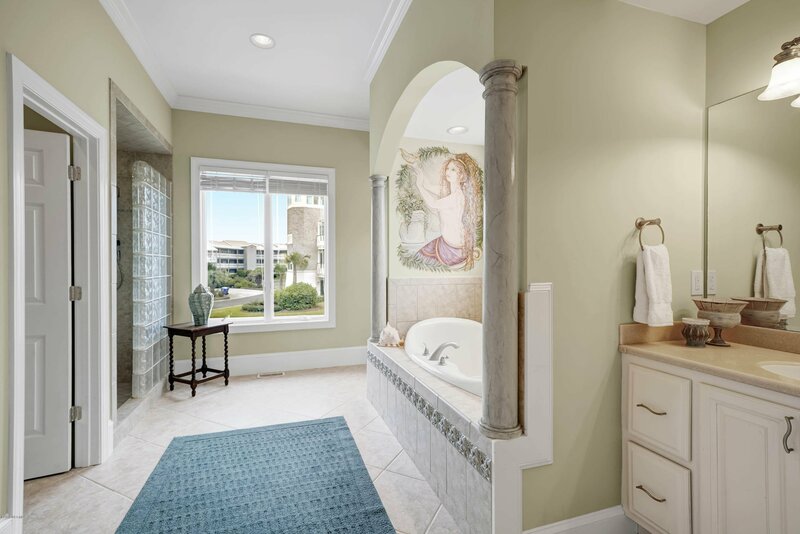 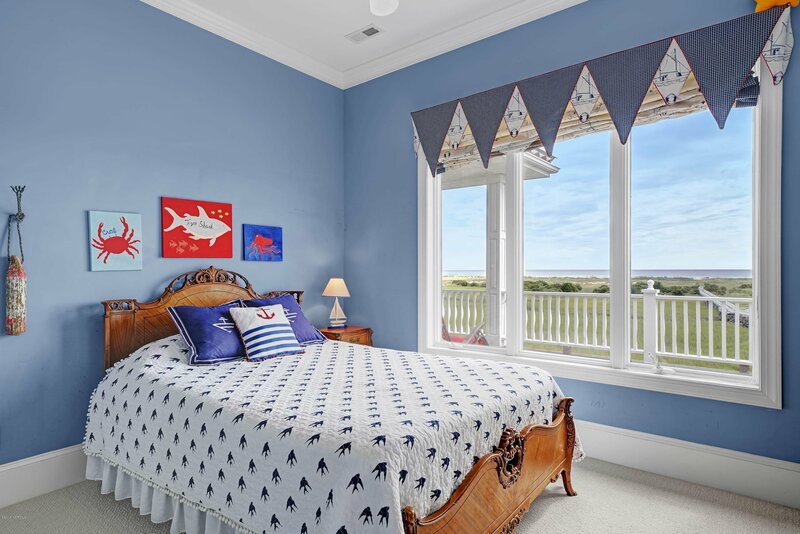 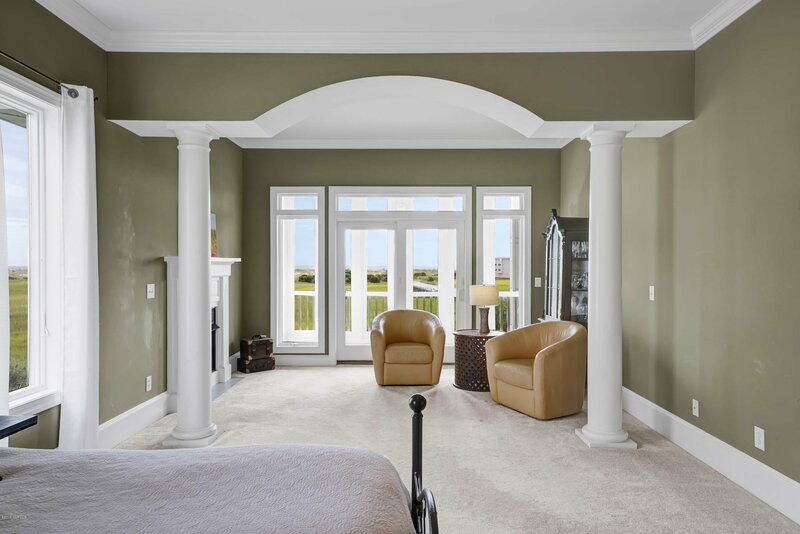 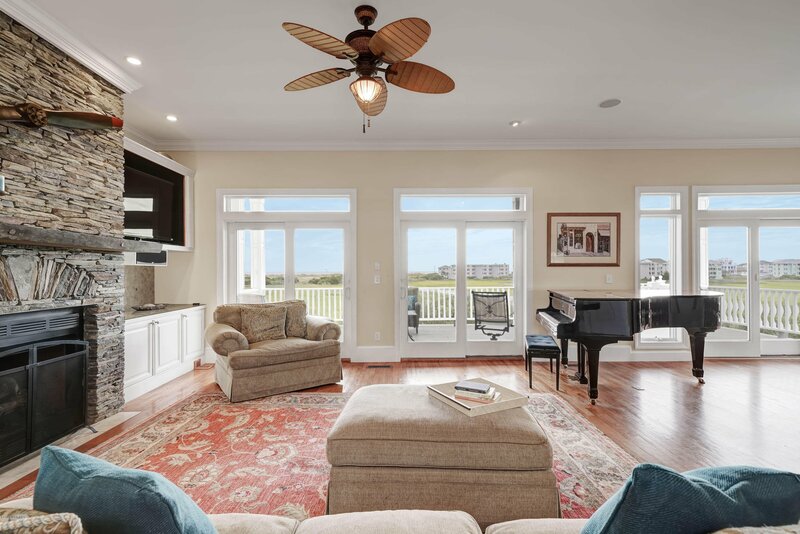 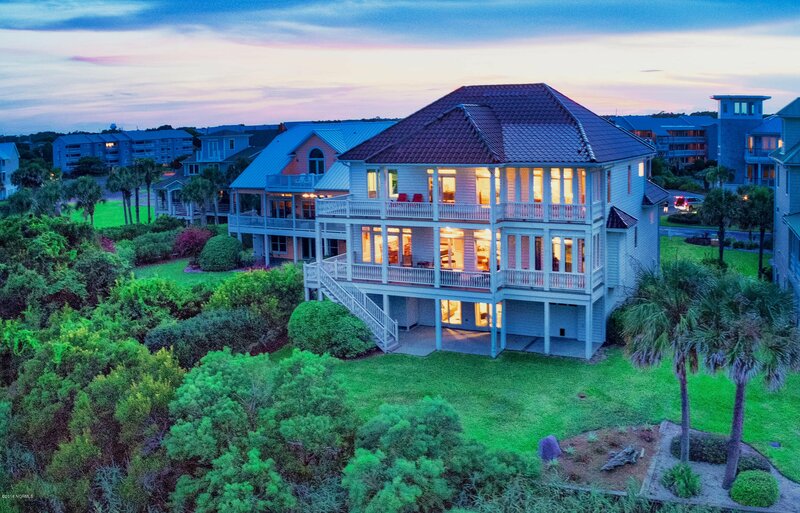 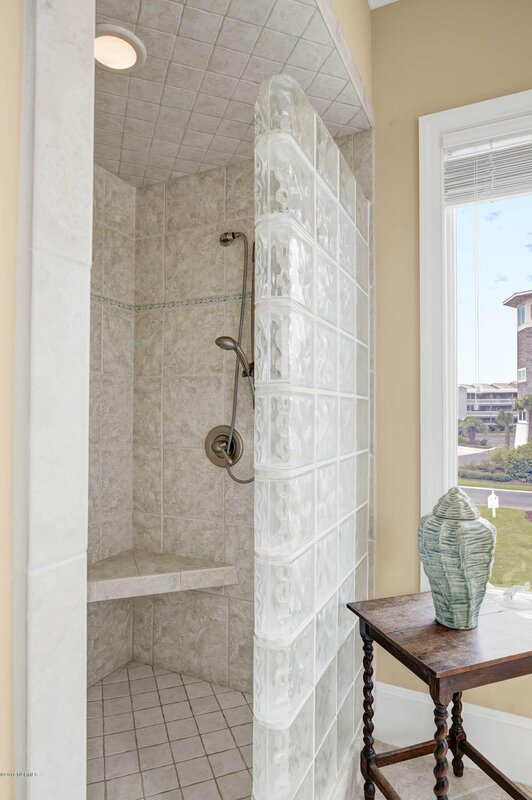 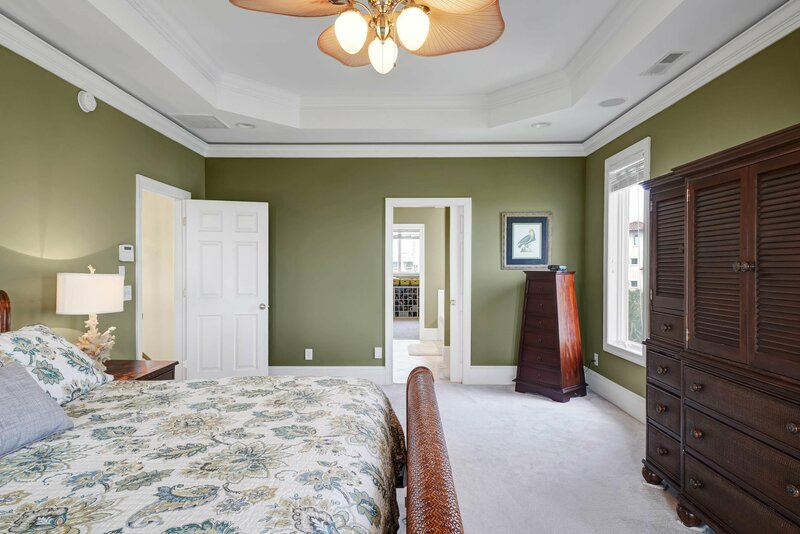 Among the upper echelon of Carolina Beach in exclusive Oceana, this multi-level residence was custom-crafted to welcome water views from every room in a sprawling floorplan. 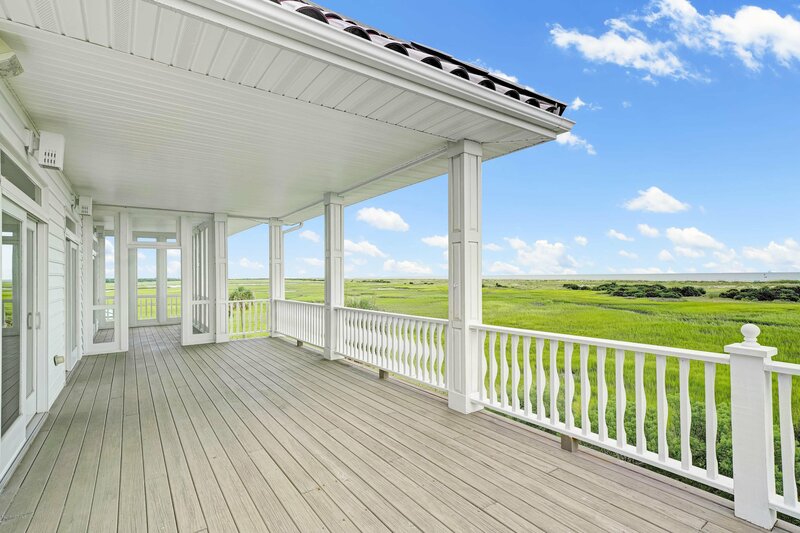 Southern charm at its finest, an abundance of covered decks on every level create a sublime indoor/outdoor living experience. 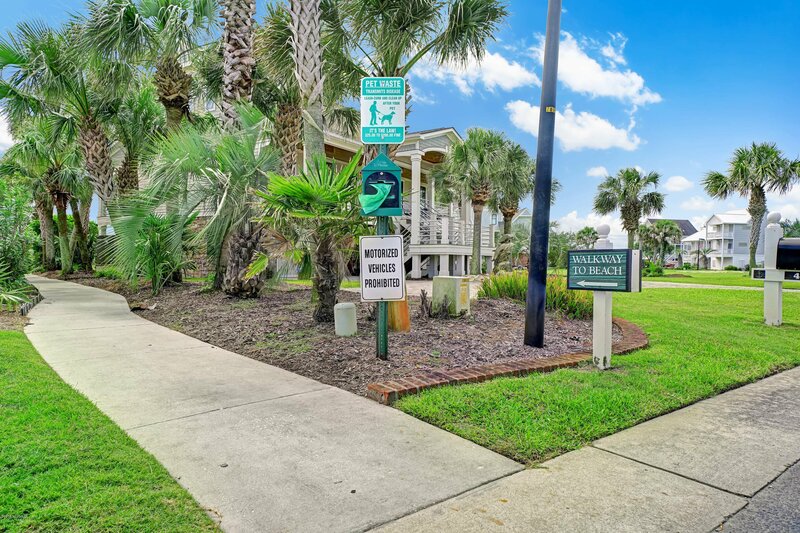 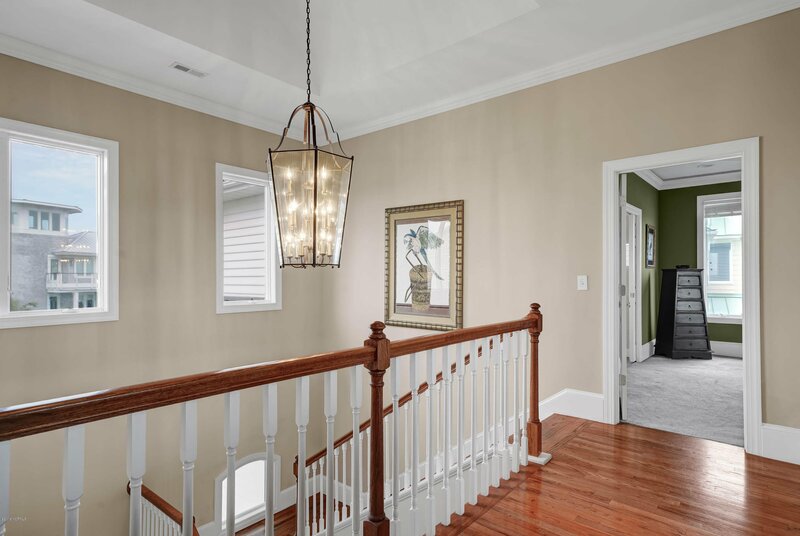 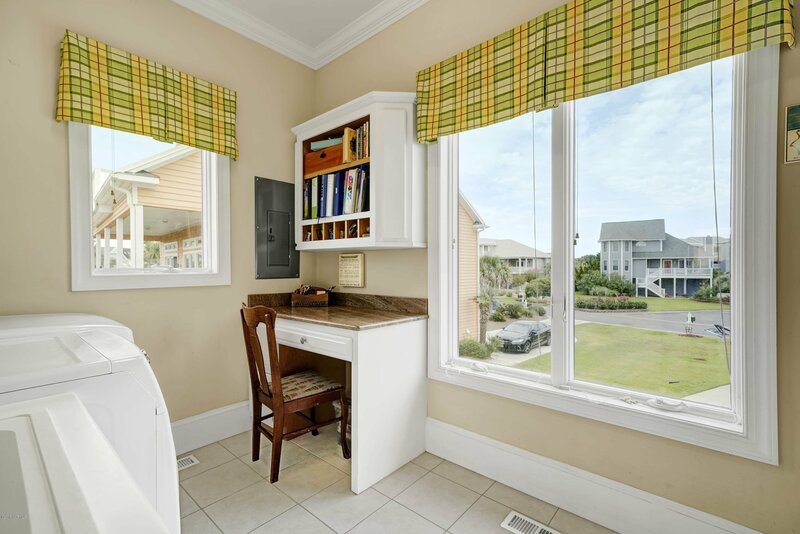 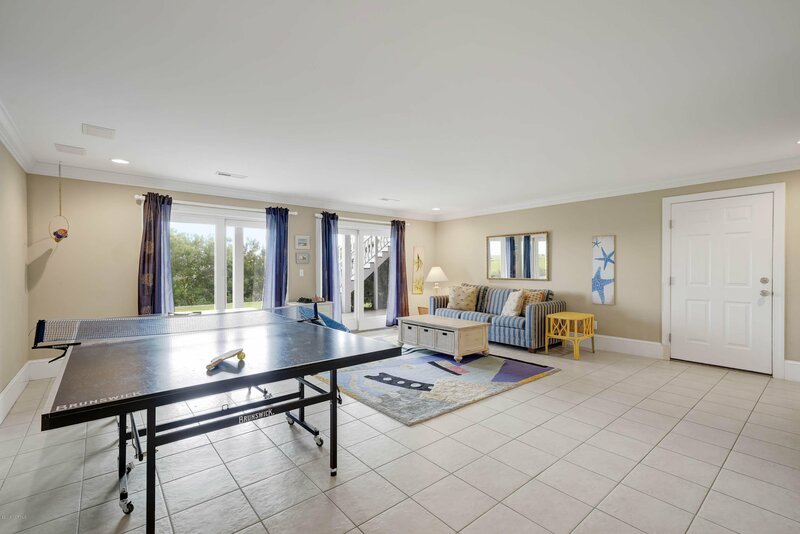 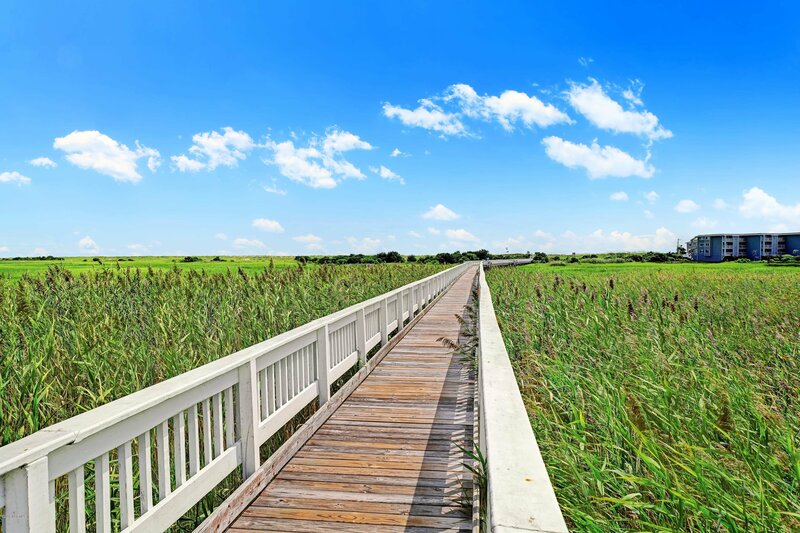 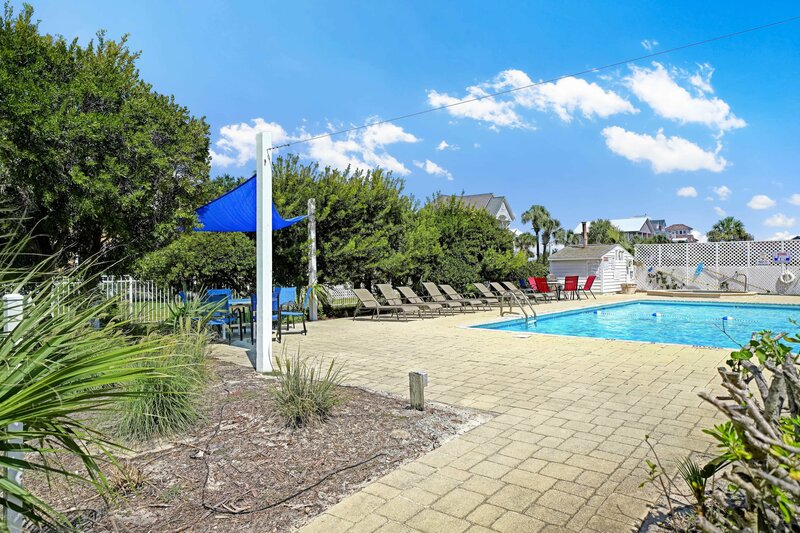 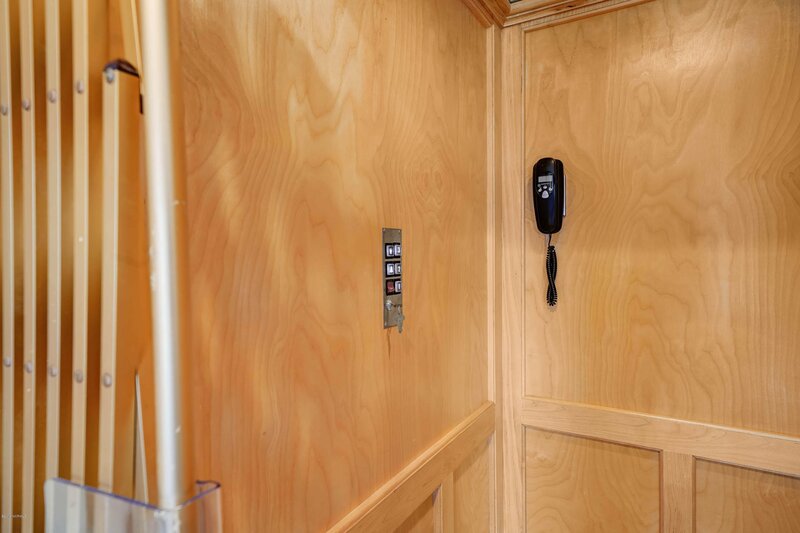 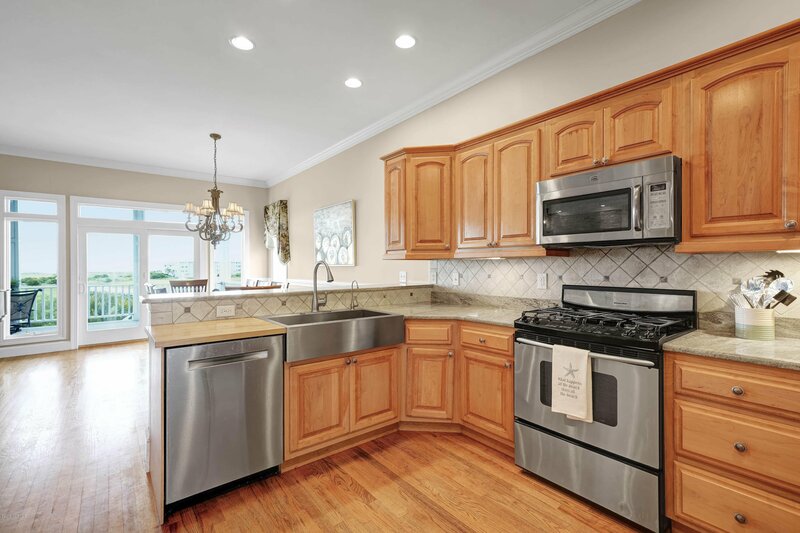 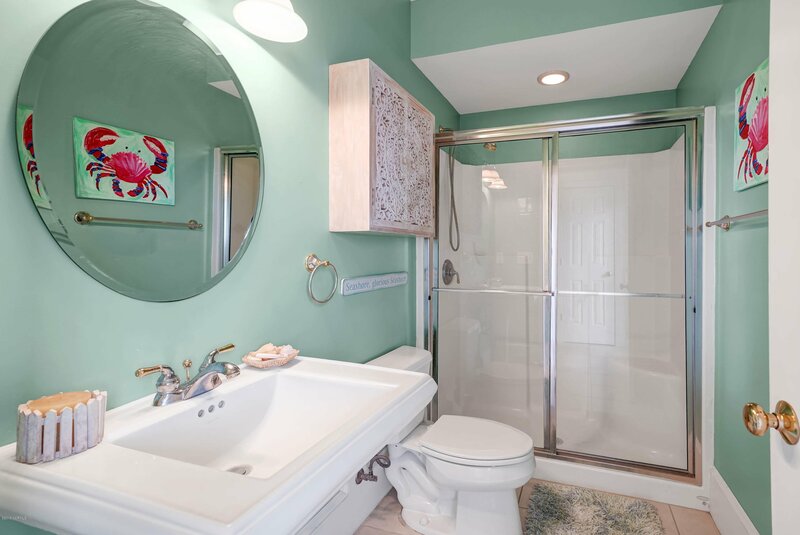 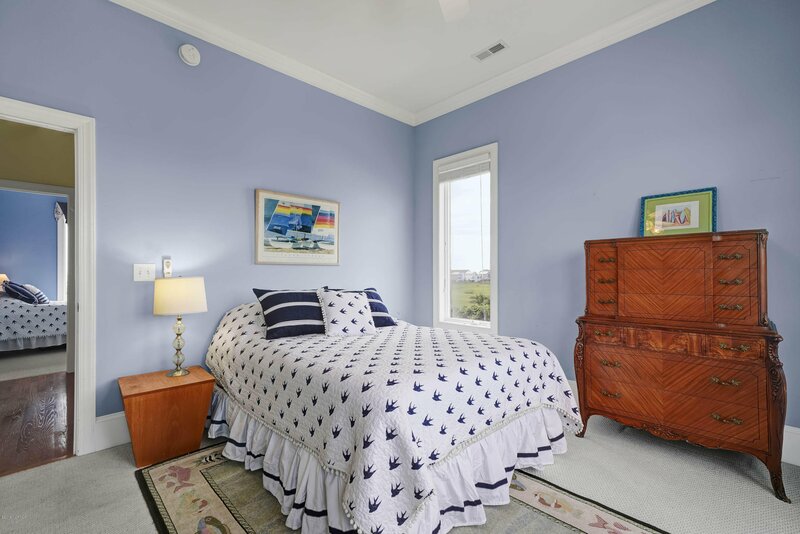 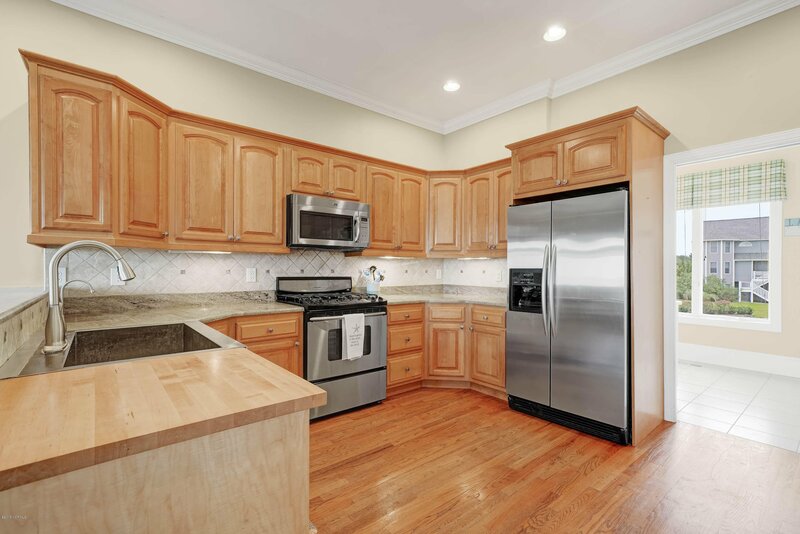 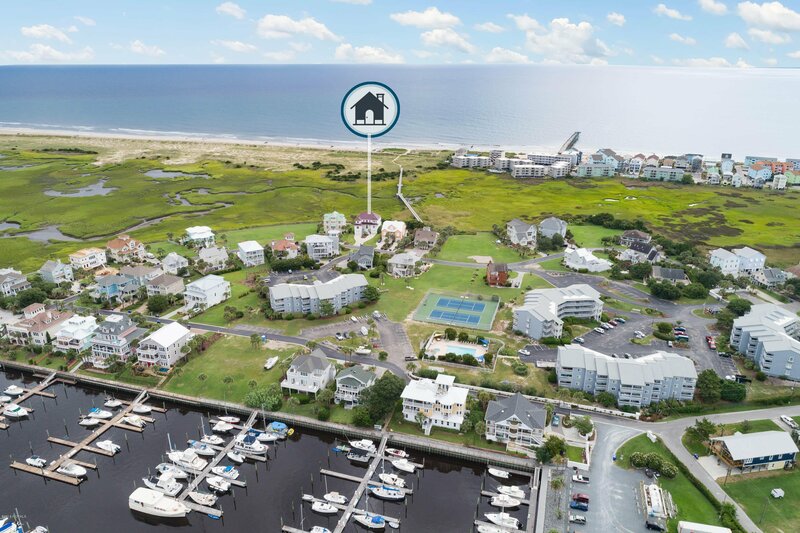 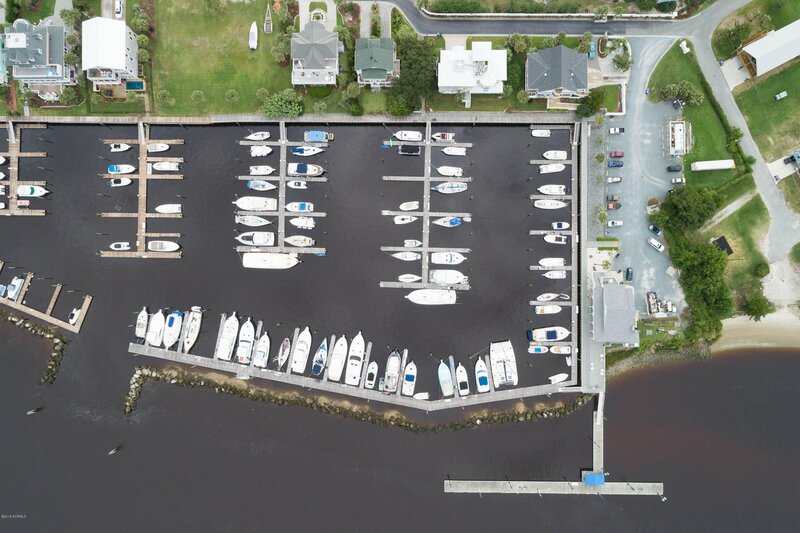 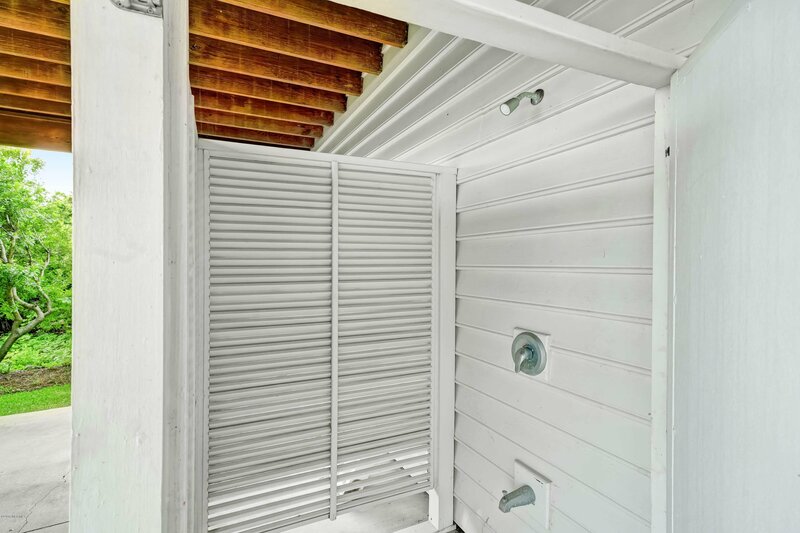 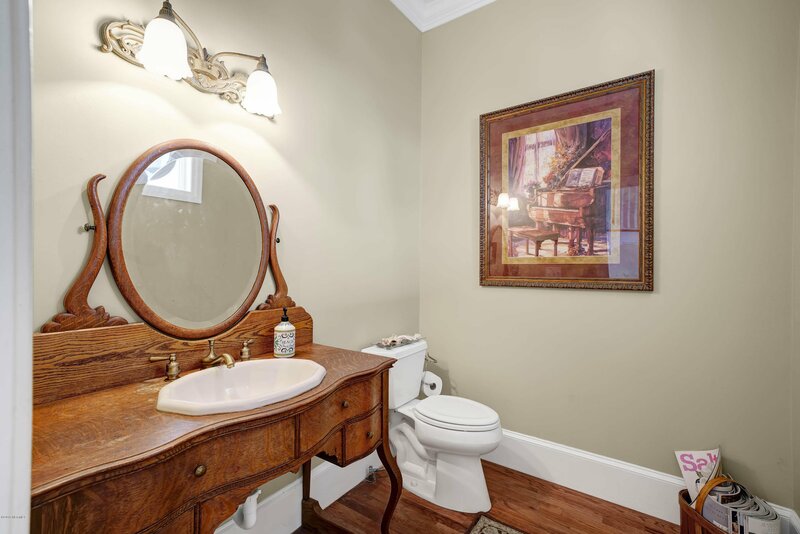 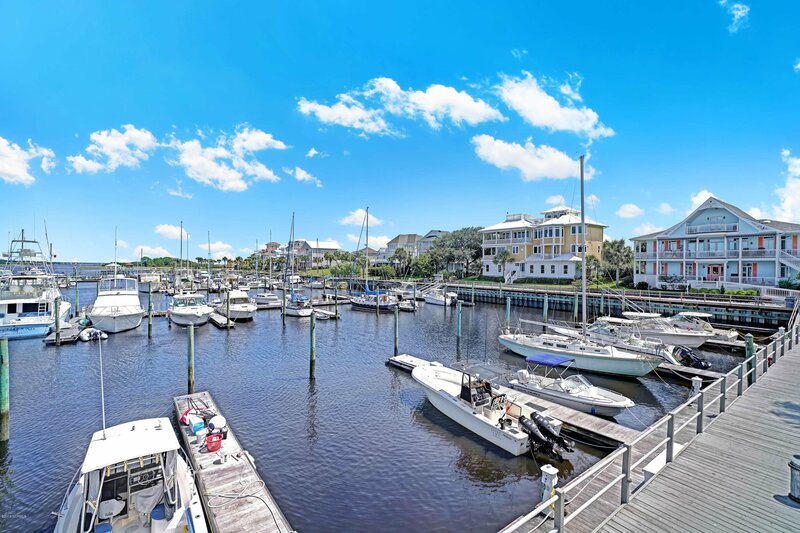 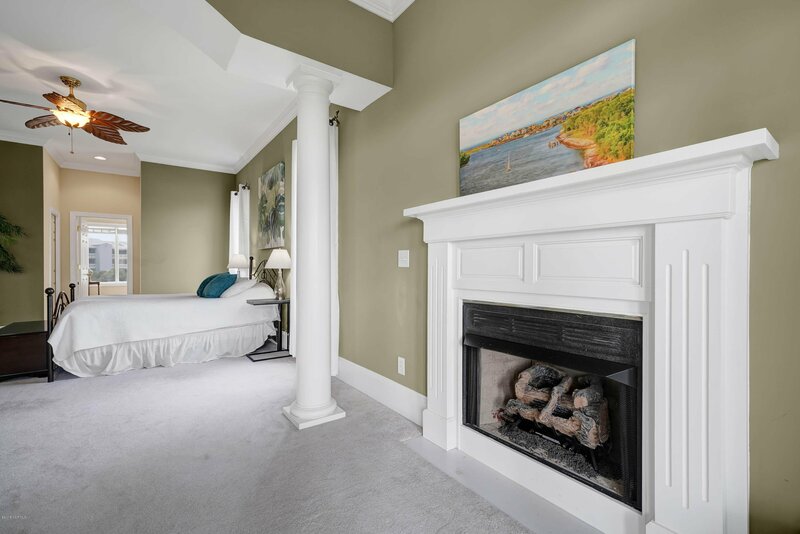 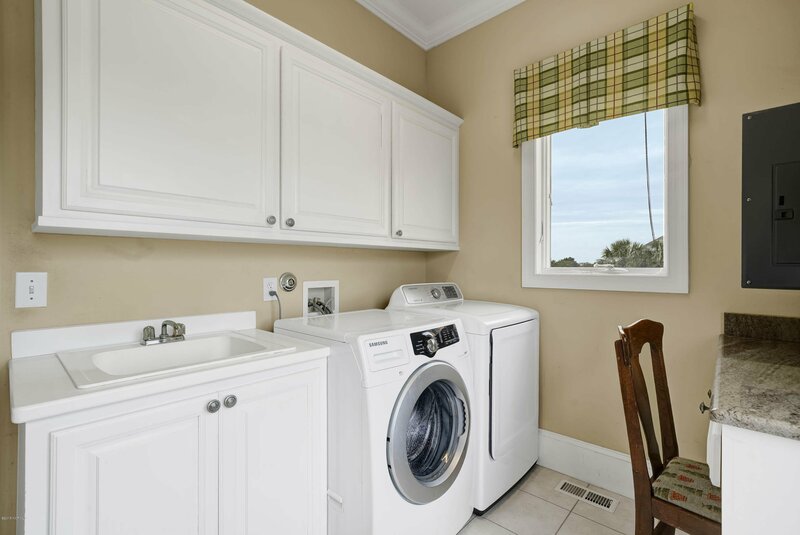 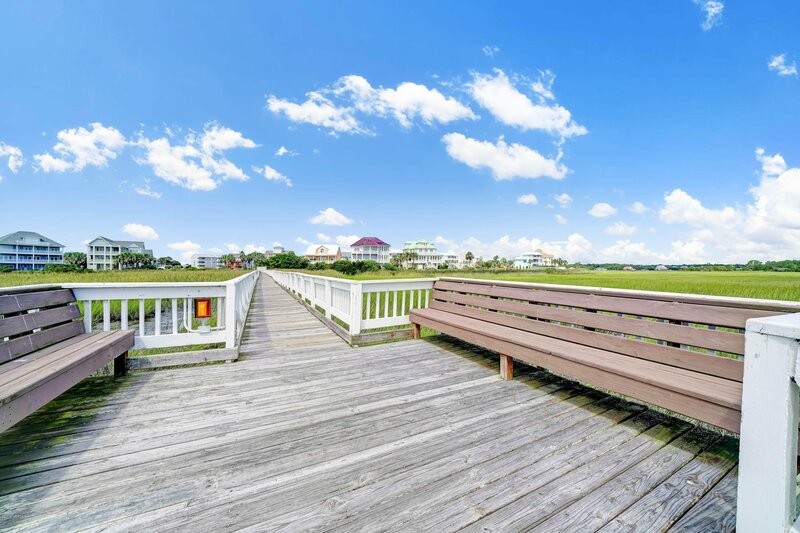 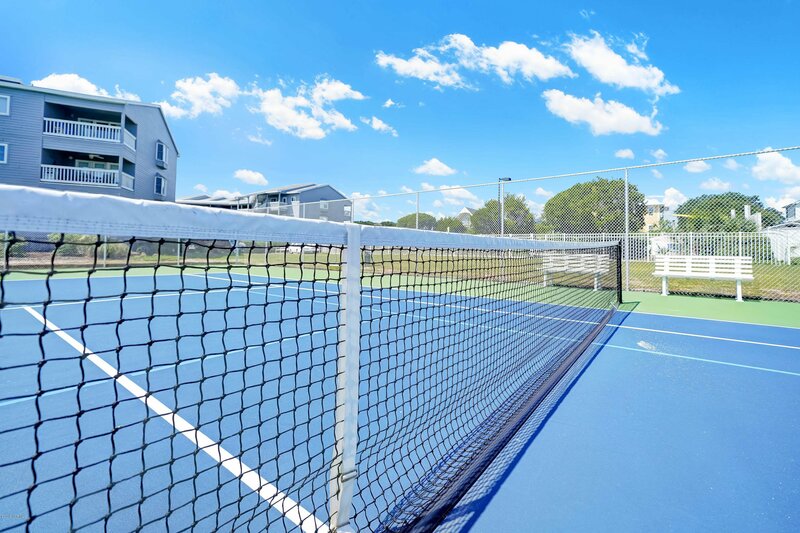 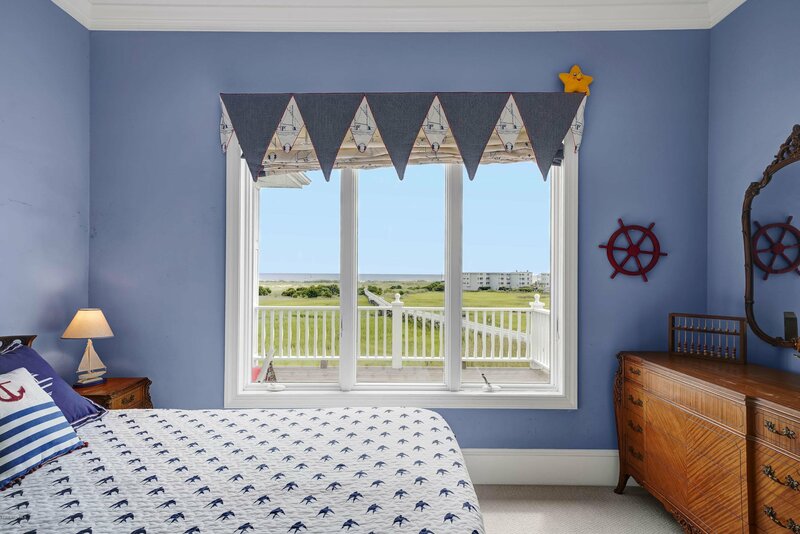 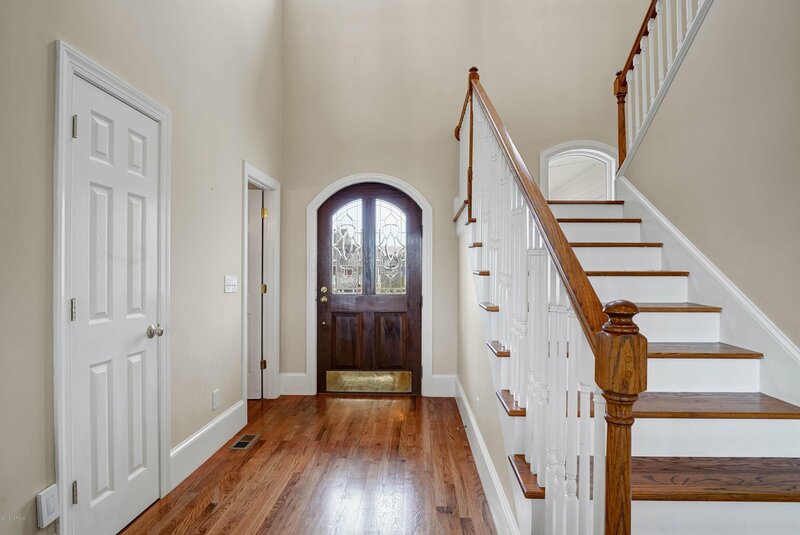 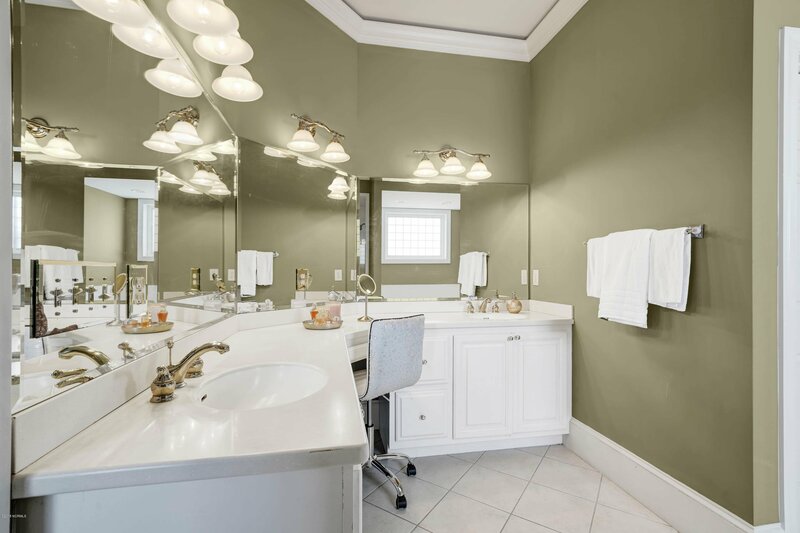 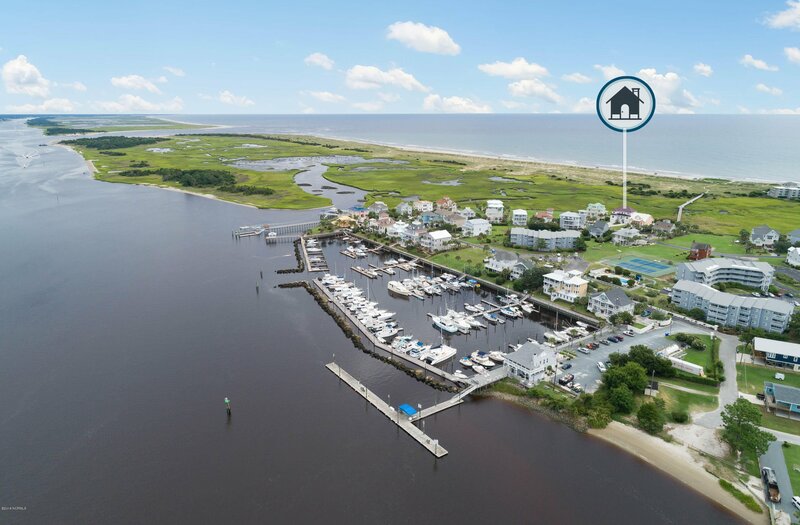 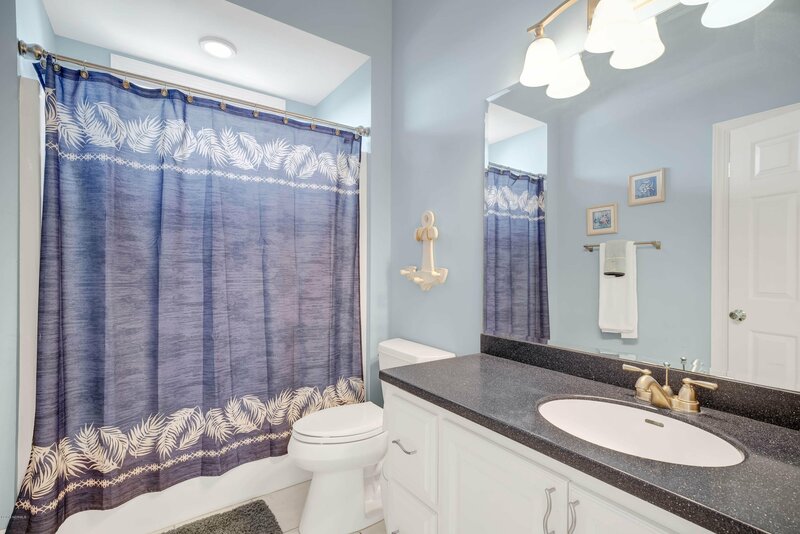 Enjoy a short walk to a private 35 ft boat slip, conveniently providing a home for watercraft, or take a stroll via the private walkway directly to the Atlantic ocean and put your toes in the sand. 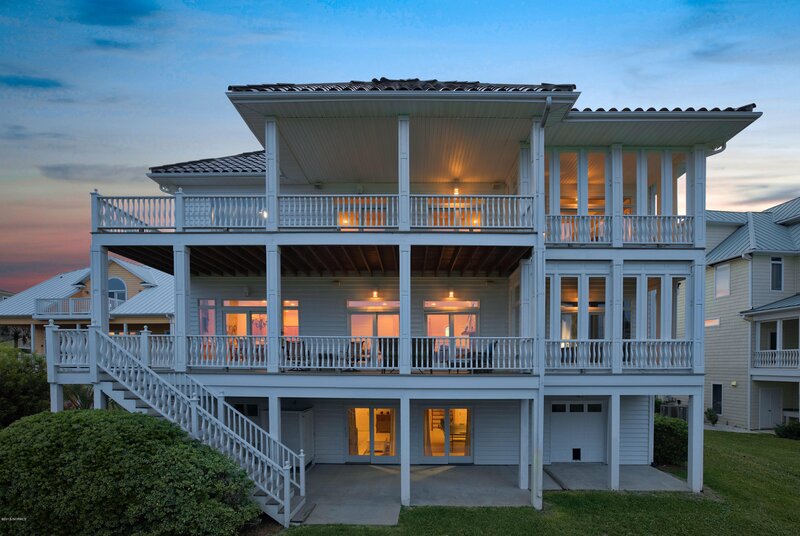 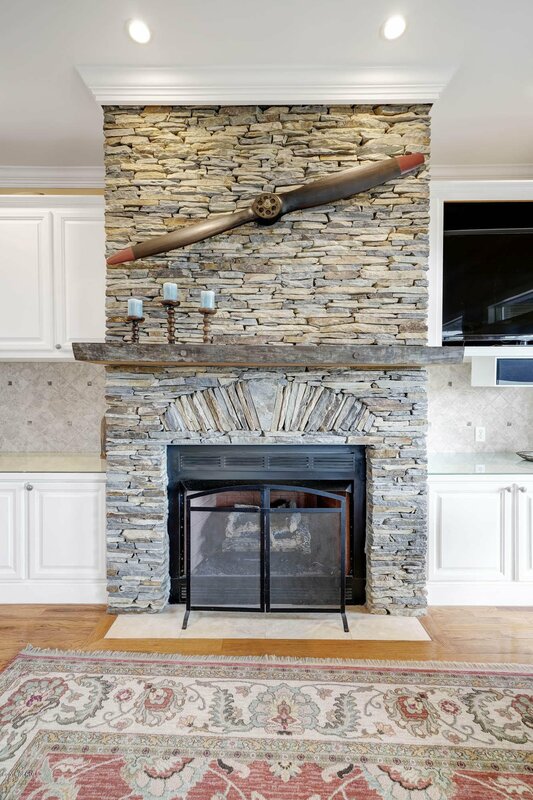 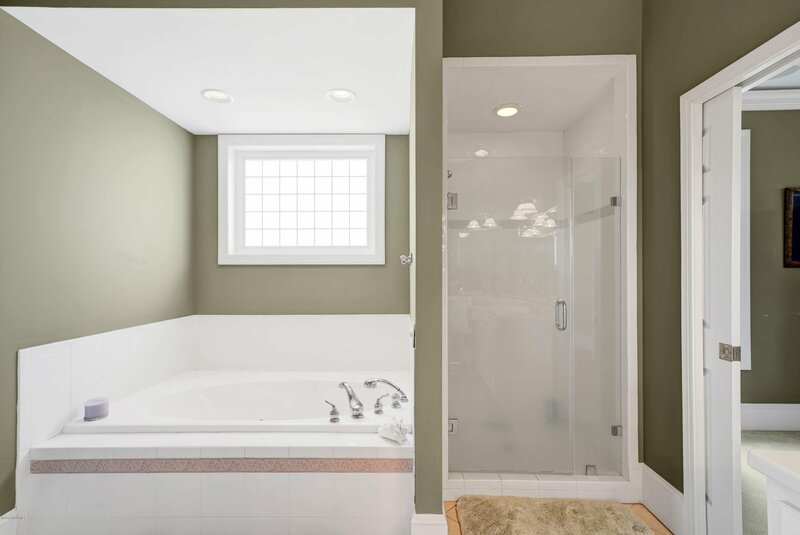 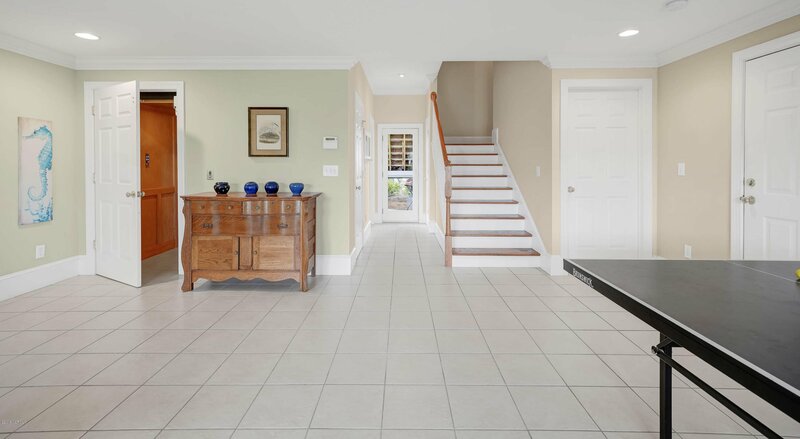 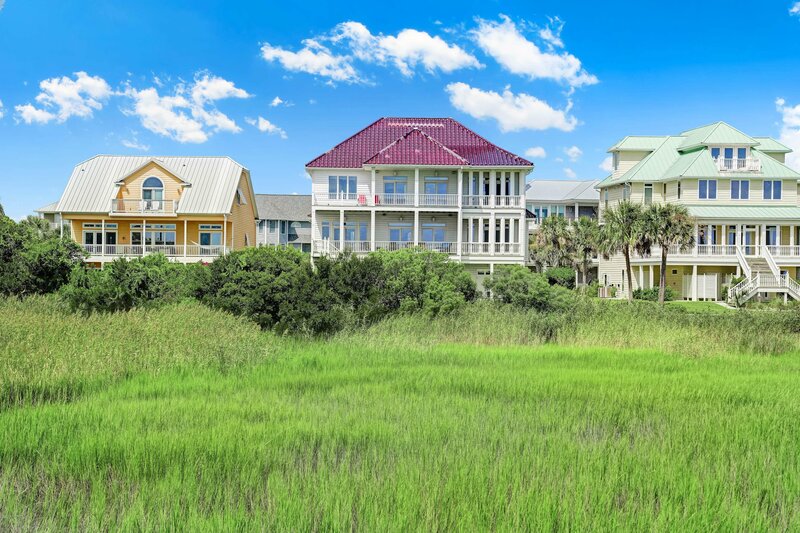 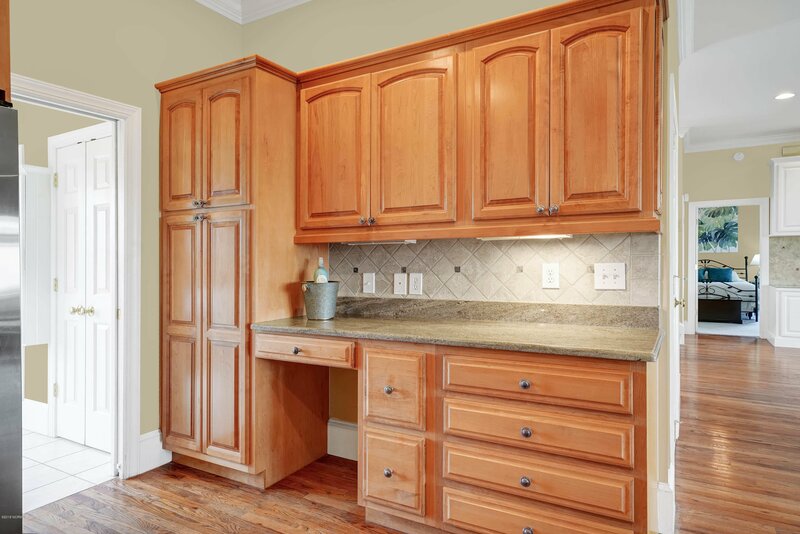 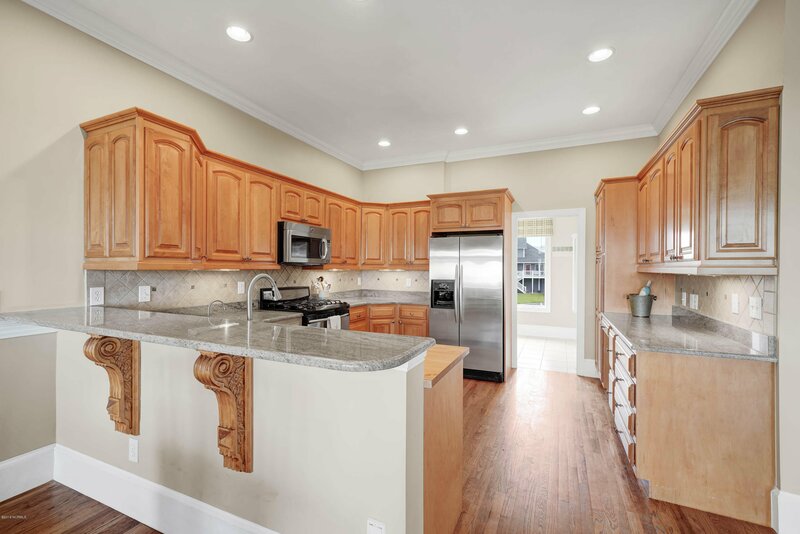 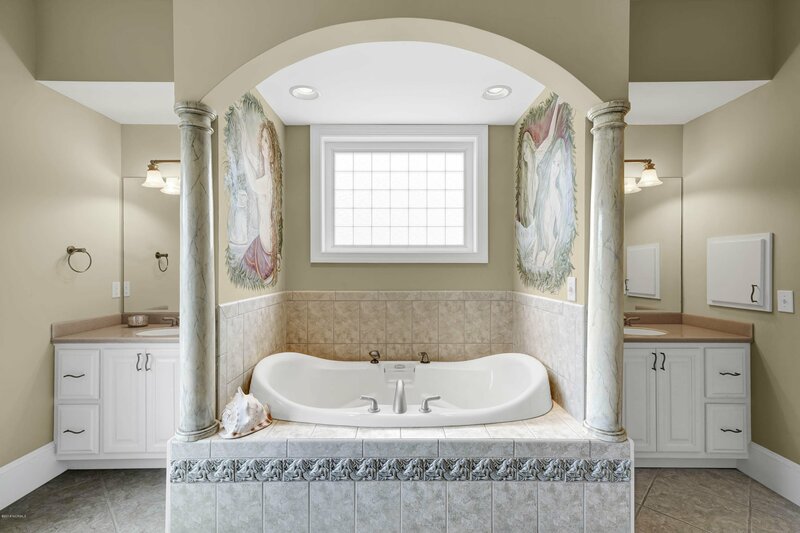 Designed for coastal living, the home is crafted inside and out.